I'd like to thank everyone who came out to Lincoln-Bassett School last week to help me kick off my fifth annual "Because You Matter" school greeting tour! 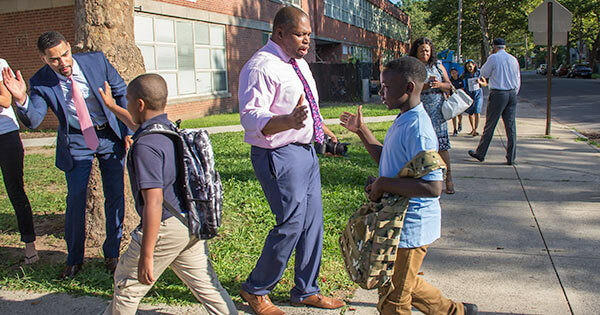 Twice a month for the rest of the school year, you can join me and other members of the community at a school in your neighborhood to welcome and encourage students as they walk through the doors in the morning. Our kids need our support now more than ever! Here's our tentative schedule for the 2018-19 school year. Mark your calendars! Please visit the "Because You Matter Tour" Facebook page for times and updates.